In this Friday, March 25, 2016 file photo, Director of Chemistry Ravi Swamy, of Aqua Pro-Tech Laboratories, uses inductively coupled plasma mass spectroscopy to test drinking water samples at the facility, in Fairfield, N.J.
A survey of school districts around the country finds that less than half test their water for lead, and among those that do more than a third detected elevated levels of the toxin, according to a federal report released this week. The report, released by the Government Accountability Office, is based on a survey of 549 school districts across the United States. 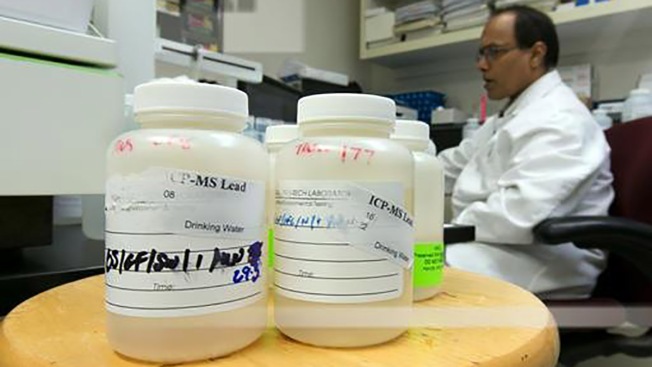 It estimates that 41 percent of school districts, serving 12 million students, did not test for lead in the water in 2016 and 2017.